Is Trans Fat Bad? It Can Actually Kill You. Trans fat is created in a factory where they take hydrogen molecules and pump them into vegetable oils. This transforms them from a liquid into a solid. In order to dump the hydrogen molecules into the oil, they must heat it to dangerously high levels and is chemically treated. Once the oils have been hydrogenated, the oil is now a solid at room temperature and has a much longer shelf life. Vegetable oil now becomes margarine and is used in all sorts of products. This is why cookies can survive so long in the cabinet or why shortening can be used way after purchased. Why Is Trans Fat Harmful? In November of 2013, the FDA determined that hydrogenated oils are no longer GRAS (generally recognized as safe) for human consumption. There is absolutely nothing natural about trans fats and didn’t exist 50 years ago. They’ve been connected to at least 30,000 premature deaths in the United States each year. By consuming only 3% of your daily calories from trans fat, your risk for heart disease shoots up by 50%! According to a normal diet, 3% is only about 7 grams. You can find about that much in a single order of french fries. Unfortunately, Americans consume anywhere between 3-10 grams of trans fat every day. What Are The Risks Associated With Trans Fats? There are many reasons why a human shouldn’t consume artificially made trans fats. They’ve been linked to many illnesses such as diabetes and cancer. Trans fat causes calcification of the arteries and puts the consumer at a major risk for coronary heart disease. Also, it raises your LDL cholesterol (bad) and reduces your HDL cholesterol (good). Eating trans fats increase your risk of a stroke and developing type 2 diabetes. Plus, it raises lipoproteins which put you at a greater risk of heart disease. Trans fat prevents the production of prostacyclin, which is needed for continued blood flow. When prostacyclin stops producing, blood clots form. This can result in sudden death. These fats can also cause high triglyceride levels. This causes atherosclerosis (hardening of the arteries) or thickened artery walls. Unfortunately, this increases your risk for heart attack, heart disease, and stroke. Inflammation of the brain can occur by eating trans fats. This can cause all sorts of problems such as loss of memory, brain function, cell destruction, and lack of hormone production. It also puts the consumer at risk of developing dementia. How Can Consumption Of Trans Fat Be Reduced? The best way to avoid trans fats is to learn how to read a nutrition label. Although there may say 0 grams of trans fat, that may not always be true. If you look at the total fat and subtract all the other fats, the amount left is how much trans fat in the product. For example, there is a lot in the product below. Another way to look for trans fat is to see if hydrogenated oils or partially hydrogenated oils are on the ingredient list. That’s just the scientific term for what it really is. Keep in mind that the ingredients are listed in order of the largest quantity. Therefore, if it’s higher up on the list that product contains a lot of it. Quick dare: go take a look in your cabinets. You’d be surprised how many items contain trans fat. By becoming an expert in reading labels, you can reduce your intake of unhealthy products and begin to live your healthiest life. Also, if you really want to avoid eating trans fat please don’t eat fast food products. They are always filled with it. Also, when you go out to a restaurant look for keywords such as baked or broiled. These items will be a healthier option for you. 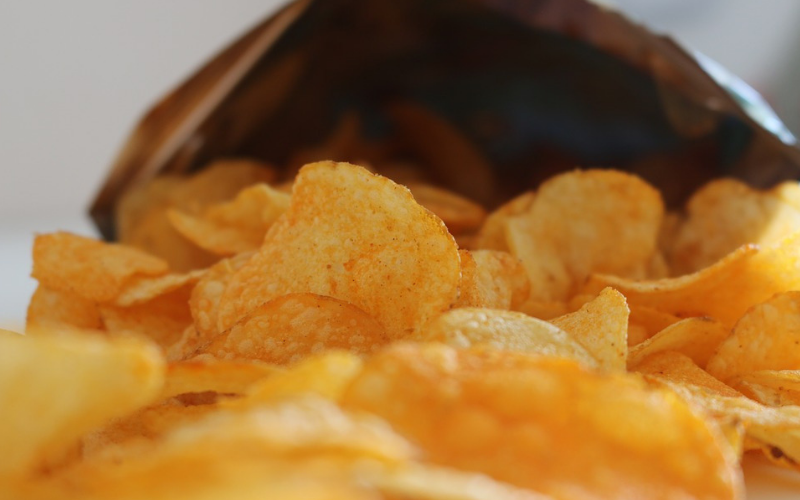 Are you surprised to learn any of these things about trans fat? How do you plan to remove this harmful substance from your diet, body, and life?